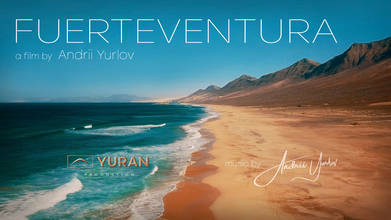 Description: FUERTEVENTURA - 4K cinematic short film about one of Canary Islands. Aerial view from drone on the beautiful places on the Island. Director, camera, pilot - Andrii Yurlov. Music was written specially for this film, composer - Andrii Yurlov. DJI Mavic Pro. Colored in DaVinci Resolve. Yuran production.